The beacon of hope. Built in 1848. 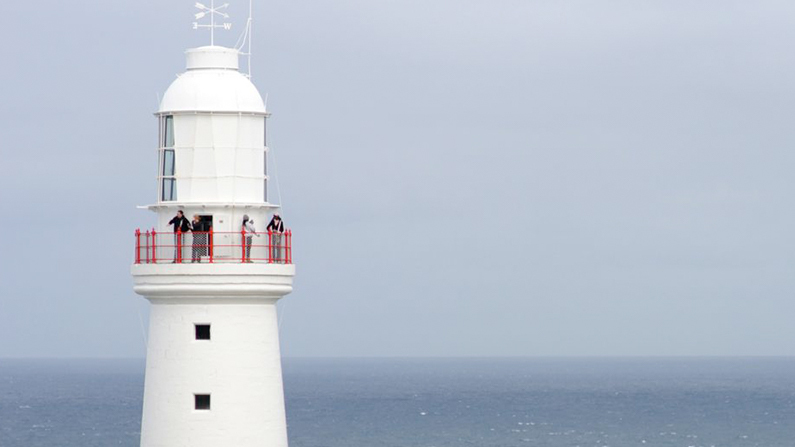 Cape Otway Lighthouse is the oldest surviving lighthouse on mainland Australia. Hundreds of lives were lost in shipwrecks off Cape Otway – a sad but fascinating history which led to the building of the Lightstation on the coast at the foot of the impenetrable forests of the Otways. For many thousands of 19th century migrants, who spent months travelling to Australia by ship, Cape Otway was their first sight of land after leaving Europe. Charles La Trobe, the then superintendent of Port Phillip, who considered himself an amateur explorer, made three overland attempts at reaching Cape Otway before finding success in 1846 thanks to the help of Aborigines and settlers. After being defeated by impenetrable forests, rivers and deep ravines La Trobe knew his overland path was not suitable for transporting materials to build the lighthouse, but he was confident in the site he had chosen. The stone used to build the lighthouse was sourced and cut at Parker River, 5km east of the lighthouse, and transported to the Cape by oxen. Seventy men worked for 10 months to shape the sandstone to such exacting proportions that no cement was required to assemble the tower. Manufactured in London, the lantern was brought ashore through crashing surf in small boats. The light mechanism consisted of 21 polished reflectors and lamps mounted on a frame. “The flash was of three seconds duration with fifty seconds of darkness. The lantern had three faces, the entire revolving every two minutes and thirty nine seconds. On each was mounted seven Argand Lamps which burned special sperm (whale) oil. The lamp was lit on August 29, 1848, after years of exploration work followed by years of logistical challenges and gruelling physical work in truly tough conditions. 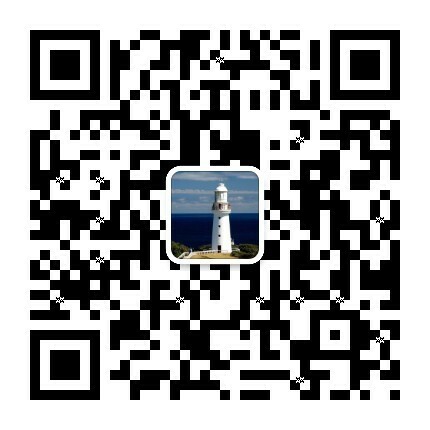 The construction of the lighthouse was an amazing feat. Lightkeepers were charged with maintaining the light – shining a “Beacon of Hope” onto Bass Strait – to prevent any further loss of life. The Head Lightkeeper kindled the light at sunset and was on duty until 10pm. Assistants were in charge of the light from 10pm until sunrise, in two watches. Their chores included collecting firewood, and carting home supplies over kilometres of rough terrain. They were also charged with painting and repairing the buildings, caring for stock and the lighthouse vegetable garden, as well as anything else deemed necessary by the Head Lightkeeper. 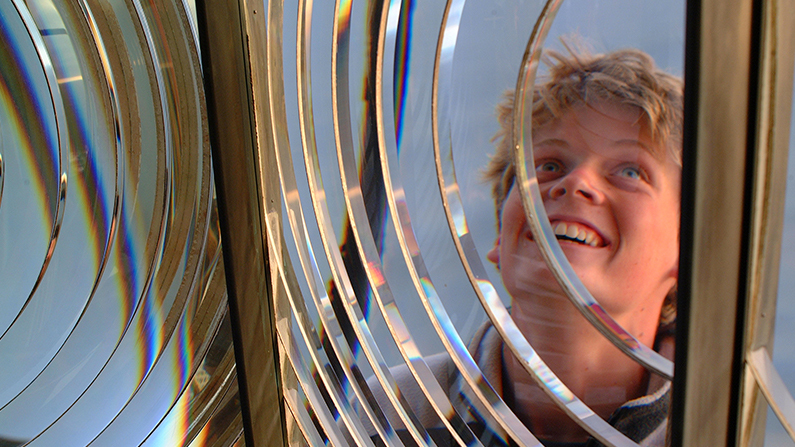 1848: The original light had 21 parabolic reflectors in three groups of seven, each burning sperm whale oil. 1891: Original light replaced with a modern revolving lens, burning a single colza oil wick lamp. 1905: An incandescent kerosene mantle replaced the oil and wick lamp – increasing the brightness to 100,000 candles. 1939: The light and turning mechanism converted to electricity and powered by a diesel generator, increasing the brightness to 1 million candles. 1962: Lighthouse connected to mains electricity. 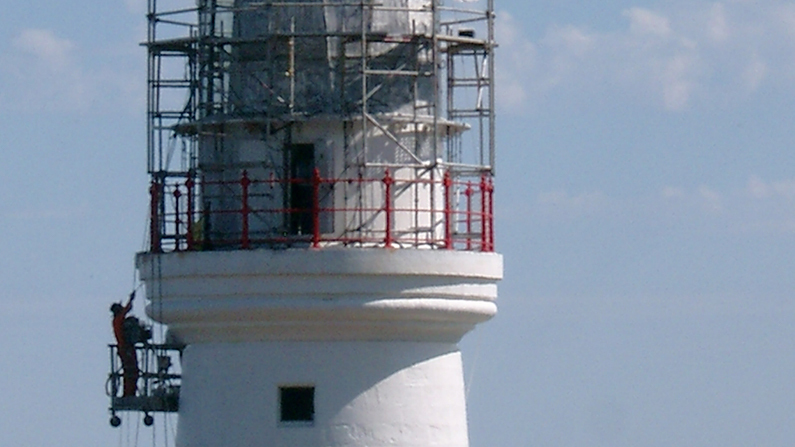 1994: Lighthouse decommissioned, replaced with a solar powered beacon.